Have Two Secret Programs Been Spotted By One Man In One Month? Steven Douglass, who maintains the site deepbluehorizon.blogspot.com, may have spotted two secret projects in a single month. The first is about a mysterious radar cloud that appeared over the Air Force's Directed Energy Lab and another pertains to a picture of what appears to be a classified stealth aircraft. 12:20pm PST update! Steve's full account of the pictures in question has been posted. I have found him to be an extremely knowledgeable reliable source. This is exciting news. I have my own theories as to what is being described and depicted in both stories, and the pictures in the second piece may have a ton to do with a hopefully ground-breaking piece that I have been working on for months that should be published here on Foxtrot Alpha very soon. I will follow-up on both of these stories soon as I have multiple contacts that I would like to talk to first before proceeding. 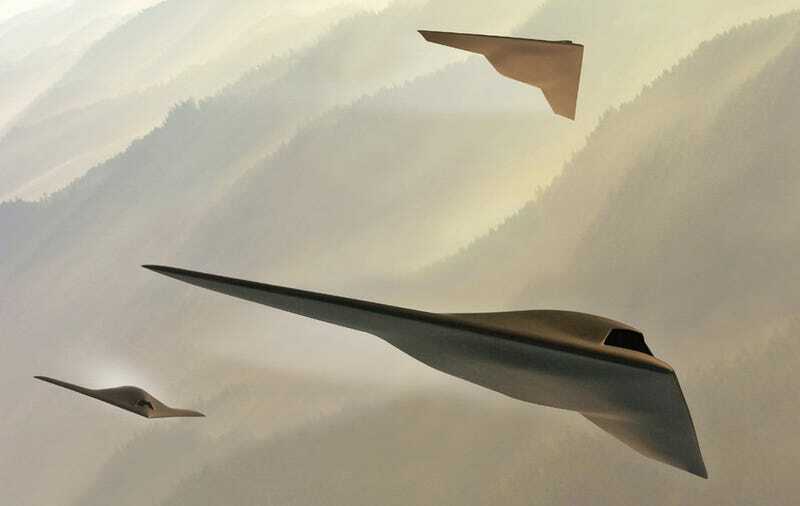 For some potentially related reading, take a look at my prior piece on Sneaky Pete, a large flying wing spotted at Plant 42, and some information here, here and here about the rumored TR-3A, a stealthy penetrating manned reconnaissance aircraft. Please share your insights and thoughts below in the comments section and feel free to shoot me an email at tyler@jalopnik.com if you have any further information on either of these topics.